Do you want to learn different languages from around the world? You must join language classes to get your goal. 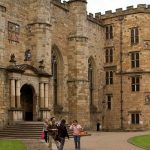 There are huge opportunities in the city of Durham for you to join language classes and become a fluent speaker of any language. The city also offers numerous language courses at University level. Learning new languages take time and dedication of the learner and once you become fluent in a second language there are huge benefits and opportunities. Learning a second language is always an exciting activity for all ages. Children are very fast learner of second languages but it is possible to learn any language with the effort and dedication at any stage of life. Being bilingual definitely has huge advantages throughout your life and can give you edge on others in any field or part of life. Finding a good job is easier for those who have the ability to speak a second language. The learning experience of second language gives you a new insight into your own language and ultimately leads to improve your mother tongue, which will improve your everyday life. At a time when the world is becoming a global village, learning of other languages is more important in today’s society. The Centre for Foreign Language Study (CFLS) is proudly providing language training to over 2,000 language learners including students, researchers and University staff. Native speakers provide high quality teaching in the languages such as Arabic, Catalan, Chinese, Danish, French, German, Italian, Japanese, Korean, Persian(Farsi), Portuguese, Russian, Spanish and Turkish. Crossroads Languages is the specialist in language courses providing extraordinary services in the field of language teaching. They provide the customer with best language school to help them learn a language quickly and effectively or help them on their way to a career in TEFL. They offer quality teaching services in languages like English, German, Spanish, French and Italian. La Jolie Ronde is a leading language centre located in Durham. They offer quality teaching services in French & Spanish languages to the children, through extra-curricular language classes. They also provide language resources to the primary schools across UK, Ireland and Overseas.